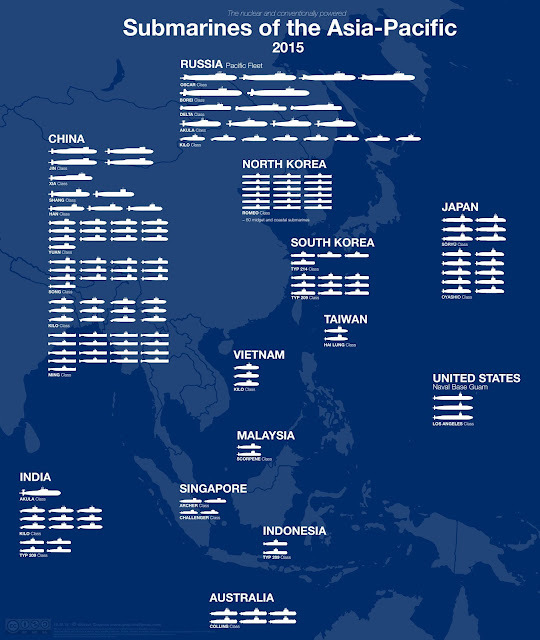 Submarines of Asia-Pacific in 2015. 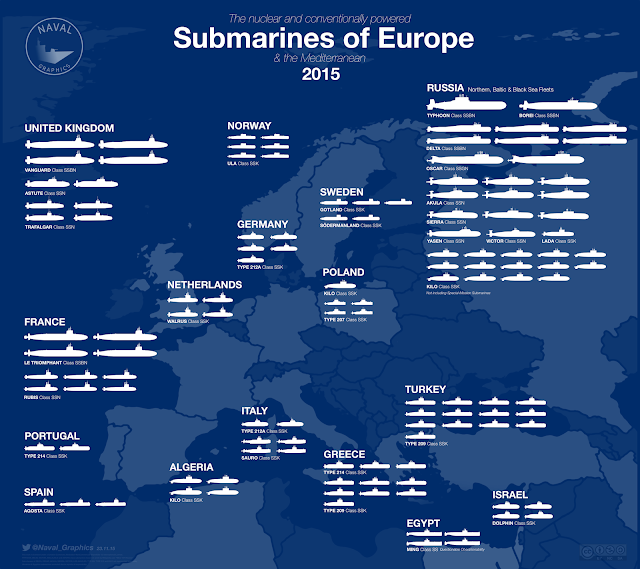 By Naval Graphics. Image in high resolution here. The following graphic from Naval Graphics shows every major type of submarine in service around the world as of late 2015. 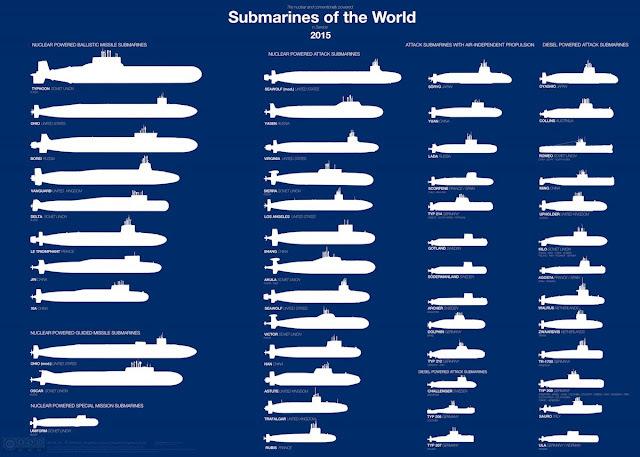 World's major types of submarines as of 2015. By Naval_Graphics. Image in high resolution here.